Lights Off, TEA ON! 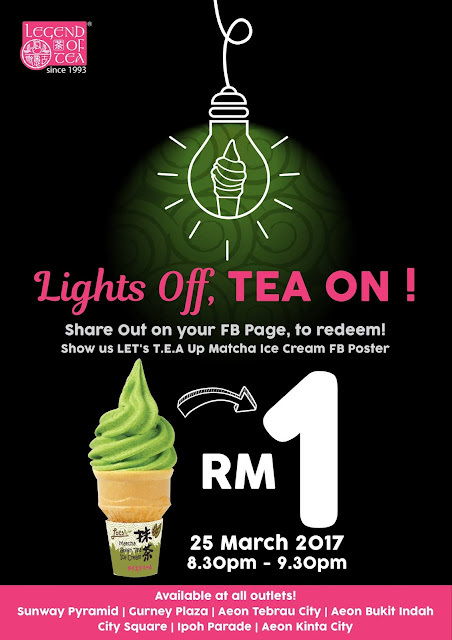 This #EarthHour2017, LOTS Matcha Green Tea Ice Cream just for only RM1! You definitely don't wanna miss it! Grab 'em on 25th March 2017 from 8.30pm till 9.30pm. Share to redeem this offer. Let's T.E.A UP !